Daily Magic Productions invites you to wander down another twisted path in the latest installment of the Sable Maze series! After years of speculation, the McCordan Library has finally been found! Rumor has it that this labyrinthine library was built to house five legendary tomes, but a series of puzzles and traps guards them. You’ve been called in to overcome these tricky obstacles and track down the tomes, but you quickly realize why he hid them in the first place... The power they contain could destroy the entire world if they fall into the wrong hands! 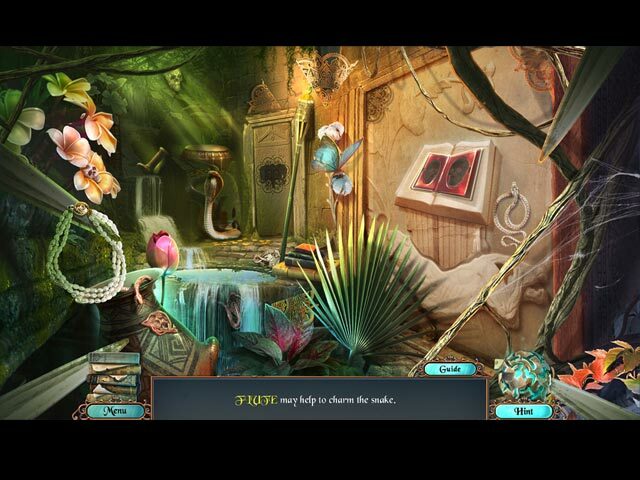 Navigate the treacherous maze as books come alive around you in this exciting hidden-object puzzle adventure game! Sable Maze: Sinister Knowledge Collector's Edition is rated 4.2 out of 5 by 42. Rated 5 out of 5 by Howatch from Don't Miss This One! I just finished this game and I am very impressed: gorgeous graphics; interesting storyline with varied environments, all beautifully rendered; fun and interesting puzzles. I thought the music was great too. I have played dozens of HOPAs and it takes quite a lot now for a game to really stand out. This is a superior game; don't miss it! Rated 5 out of 5 by AforAllie from Exciting game with exceptional animation and graphics This game has the best animation of any game I've seen. The story idea is cool and the artwork is great. There are a few issues. I would have liked the puzzles to be a little harder. The hint icon is constantly flashing at the bottom of the screen, which is distracting. The bonus chapter is a prequel, which I'm not a fan of, and is quite short. It's not essential to enjoyment of the game. Those are the only downsides, and the game is very cool. The central idea of the story is clever, and the characters draw me in. My new favorite game. Rated 5 out of 5 by nadaze2da from What happens if you opened a book and the characters popped out? If that happened, we might get the story in this sinister Sable Maze game. Sometimes people wonder why games get such high ratings, on this one, I wondered why there were low ratings. But everyone likes a different kind of tea perhaps. I won't go into a breakdown of the game as others have already done that just suffice it to say the game is entertaining and a fun romp. I missed some puzzle pieces because I became so engrossed in the game. The VOs were excellent except perhaps for that fake southern accent of the villian. Mini games were not too hard. The bonus game was of satisfying length. The demo ran out on me because I was so caught up in game play and I had to have it. Try it. You might find that you must add it to your collection also. Rated 5 out of 5 by timothya from Great Entry In A Favorite Series Stunning graphics in this one. I was lucky enough to Beta it and wow, what they've turned it into! I'll cut to the chase. Pros: Glorious art. Every scene is a separate feast. Clean Cuts has provided some wonderful, immersive music. Plenty of puzzles - I love puzzles - and the HO scenes are varied and stick close to the plot. The art on these isn't skimped at all, and they're beautiful to look at and delightful to play. Cons: For a game this nice the complaint is always not enough. It's a compliment, truth be told. Oh, and another note: one of the Extras is a particularly charming series on the Dev team. They don't think we players look at that stuff but we do. Thanks to all there for a great ride! Rated 5 out of 5 by karenmusik from Books Can Be Dangerous Interesting premise. I won't get into story line because that's been done already but I did enjoy the fictional characters. The graphics were nice, the puzzles were interesting, the voice overs were well done. I did figure out who the villain was right way, but that seems to happen in every game I play lately. Too much real crime TV? Rated 5 out of 5 by brownsbarn from Really a Fun Game to play I enjoyed this game more than most, it kept my interest up through out the game. 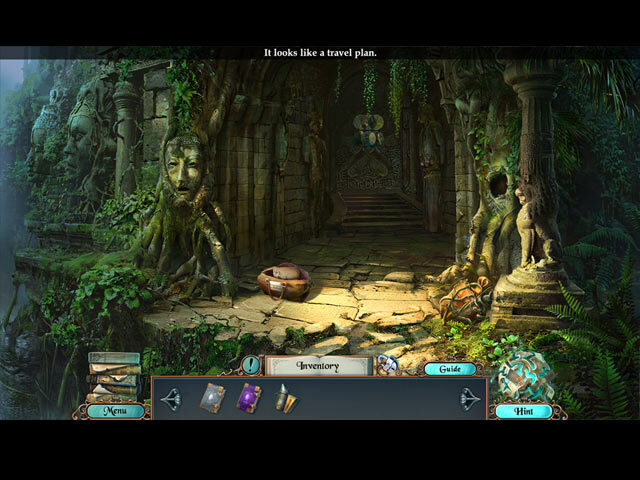 I loved the hidden objects and puzzles although I am not good at puzzles, I try and they were interesting. Need More like this one. Rated 5 out of 5 by stilesj from One of the "Best Ever" games! 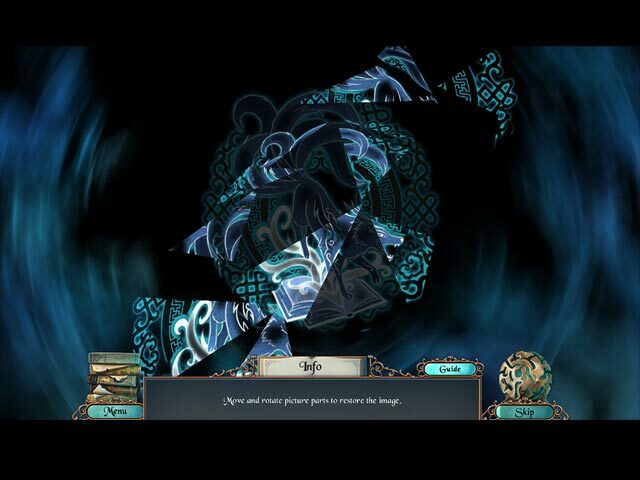 Beautiful graphics, don't know about sound as I'm deaf, but definitely one of the best games I've found on Bigfish. Excellent amount of puzzles within the game (with objects named and spelled correctly too!) Excellent game for elderly gamers, you don't have to be a gaming fanatic to figure it out and the puzzles aren't so hard that you get frustrated and give up. Very well thought out story line. Great game balance throughout and a definite winner for any player experience level. Rated 5 out of 5 by fiewi1 from Let's go steal us some fairytales! So this one is truly impeccable and has it all; a unique storyline, lots and lots of things to uncover, combine and use, and also some surprises from... unique creatures! I'll just point out the only negative feature, so this is out of the way. Lately, the design teams have the bad habit of creating (for the footer menu bar) hint-objects that are huge. I mean, in this one, you have a big sphere that is constantly moving. Seriously? Sooo distracting. And that's it. Everything else, is perfect. Really! If you play this one without any help or glimpses, remember to look out in every scene for the puzzle-greenish-tapestry like piece, that's showing on and off. And you'll discover some pretty amazing puzzles and mini HOGs, where you combine things in order to move on. Like a game in a game. Awesome job, creative team! Rated 5 out of 5 by Marja67 from Wonderful! Books, books. Love this one. Am going to go back in as another name and replay. Outstanding graphics and great storyline. So unique. What secrets are hidden in the legendary McCordan Library?